The right and left sides of Doolittle Creek at the Frank Lester Bridge at Roach Hollow. 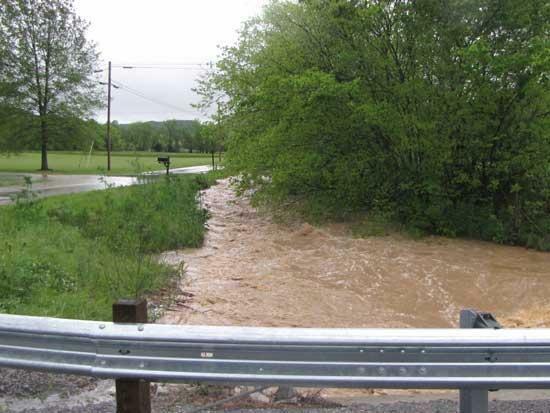 Cannon Courier staff Bob Stoetzel traveled around Saturday taking pictures of the effects of the downpour as Cannon County was inundated with rain. A flash flood watch remains in effect through Monday. Spring on Hoots Lane off of Roach Hollow.